Ampeg PF-115HE Bass Enclosure is a 1 x 15-inch bass amp cabinet combining vintage styling with the performance of a modern 450W cab. The dual stamped frame ceramic Eminence® 15" drivers push out true Ampeg tone, with the ability to dial in the right amount of highs via the Ampeg L-Pad attenuator. 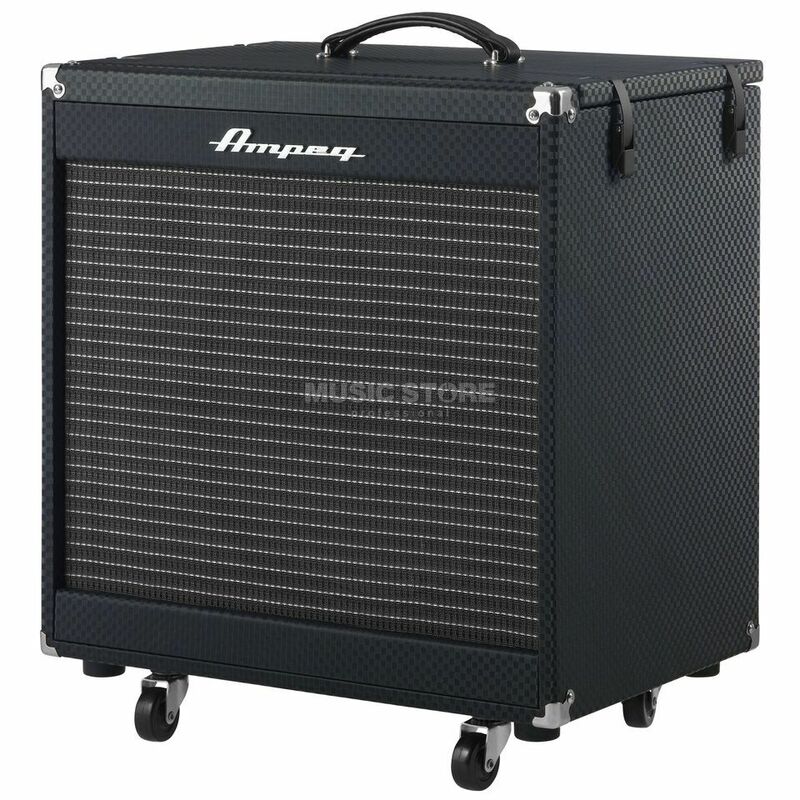 The Poplar wood cabinet is extremely rugged and looks great with Ampeg’s black diamond tolex and classic B-15 grille cloth, and, as it is part of the Portaflex range, you can attach the PF-350 or PF-500 head to the top and flip it inside the cab for the ultimate portable Ampeg rig.